The Yak-41 program was initiated in 1975, about the same time that the Yak-38 was first being deployed. The supersonic Yak-41 (NATO name 'Freestyle') was optimized for air defense with an attack capability as a secondary role. The first conventional flight was made on 9 March 1987 and the first hover on 29 December 1989. The first official details were not released by the Soviet Union until the 1991 Paris Air Show (re-designated as the Yak-141) by which time the two flying prototypes had accumulated about 210 hours in the air. A dozen FAI-recognized Class H. III records for V/STOL were set in April 1991, consisting of altitudes and times to altitudes with loads. In flight testing, the Freestyle achieved a maximum speed of 1.7 Mach, and maneuverability was repeatedly claimed to be almost as good as that of the MiG-29 Fulcrum (although the small wings of the Freestyle make this extremely doubtful). Flight testing was originally intended to continue until 1995, but development was stopped in August 1991 due to the shrinking Soviet military budget. Yakovlev funded the development from its own resources for a while, in the hopes of attracting a foreign investor. The second flight prototype was destroyed after a hard landing on the Admiral Gorshkov aircraft carrier on 5 October 1991. The following year, the surviving prototype was demonstrated at the Farnborough Air Show, but the design bureau was still unable to find a market for the design. 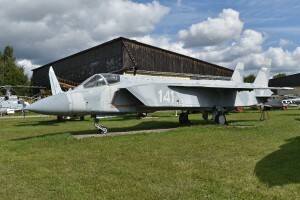 Resources related to the Yak-141 , provided by the Vertical Flight Society. 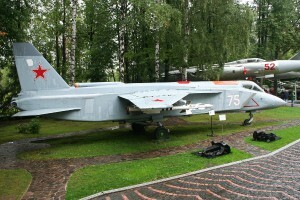 Resources related to the Yak-141 , provided by public sources across the internet.